We should never allow jealousy to invade our hearts. For we are all God’s children so loved by Him. Each has been given unique gifts and talents to serve Him and our brethren. And if the Lord chooses to bestow certain privileges to His anointed ones we should rejoice for they serve Him and us with zeal His Kingdom. And we should strive to emulate them. 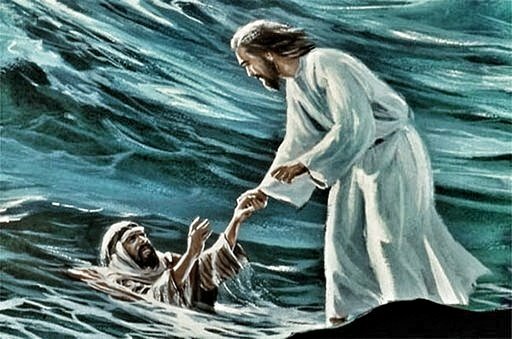 Let stay focus on Christ Jesus our Lord for when we focus alone on the the trials and challenges that come our way, that is when we start to sink. Have faith and trust instead on the Lord and He will lead us closer and deeper unto Himself. He will never let us drown in sorrow or sin. He liberates us from all evil and sin.